A rift is emerging between the US and Israel, after Barack Obama’s administration hit out at Israeli leader Benjamin Netanyahu for speaking to Congress without consent. 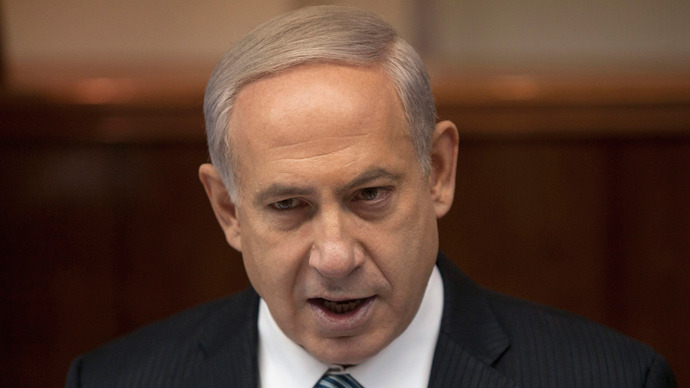 The Democrats say they are in the dark about Prime Minister Netanyahu being allowed to speak to Congress about Iran. The party says the Israeli delegation did not consult them and they therefore broke protocol. The Democrats were also fuming with the Republics after the Grand Old Party’s Speaker of the House of Representatives John Boehner, gave the Israeli PM the go-ahead. "It's out of the ordinary that the Speaker would decide that he would be inviting people to a joint session without any bipartisan consultation," said Nancy Pelosi, the House Democratic leader at a weekly news conference, which was reported by Reuters. Boehner made the announcement that Netanyahu was to speak about Iran in front of Congress on January 21, the day after Obama said in his State of the Union address that he would veto any extra sanctions against Iran. The Republican is keen to impose further sanctions on Tehran saying, "He (Obama) expects us to stand idly by and do nothing while he cuts a bad deal with Iran," Boehner said. "Two words: 'Hell no!' ... We're going to do no such thing," AP reported. The Israeli Prime Minister believed the “two-party leadership” of Congress had invited him, but congressional aides said they knew of no members of the party who had been consulted, according to Reuters. The US administration also made an announcement that Netanyahu will not be granted an audience with either Obama or the Secretary of State, John Kerry, during his next planned visit to the US on March 3, citing the proximity of the Israeli elections as the reason for the snub. “As a matter of long-standing practice and principle, we do not see heads of state or candidates in close proximity to their elections so as to avoid the appearance of influencing a democratic election in a foreign country,” National Security Council spokeswoman Bernadette Meehan said Thursday. The Republican’s hit out at the Democrats, with Republican Representative Mac Thornberry, the chairman of the House Armed Services Committee, saying Congress was exercising its proper constitutional role. "To ask a foreign leader who is at the center of a huge number of the challenges facing the country to come talk to Congress, how is that not within our purview as an independent branch of government, to hear from him directly?" he said, according to Reuters. Meanwhile, the Washington Post believes Netanyahu’s decision to “break with protocol” could lead to a different stance being taken towards the Israeli PM. Despite the controversy over Netanyahu’s visit, the Israeli Prime Minister does have a lot to gain politically from visiting the US and speaking in front of Congress on an issue as sensitive as Iran. A harsh line against Tehran would be welcomed by many in Israel. The incumbent PM is facing a tough fight to win re-election when Israel goes to the polls in March. His Likud Party is trailing their main opponents, the Labor Party, which has highlighted the discord that has emerged recently within the country’s crucial relationship with the US.